Here We Are, Now Entertain Us! 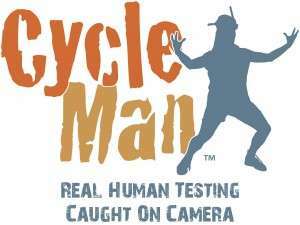 In case you haven’t seen it yet, you need to take a minute and watch some of the episodes from the new web series, Cycle Man. This show is brought to you by Leggett & Platt’s Home Furniture Components group, located with me here in good old Carthage, Missouri. So why am I bringing up a marketing plan created by furniture components people? Because it is relevant, that’s why! These guys want to take a component that is new to the market ­– a better product that delivers real value to the RSAs out there selling motion furniture – and sell it instead of what exists today. Now they could simply create a few magazine ads, maybe buy some digital space with some industry trade publications, push their message out on social media platforms, create a selling strategy for their sales people to take to the customer base, or get really crazy and do something like direct mail. Or they could do all of what I just mentioned and then some. If you are going to really penetrate a marketplace today, you really can’t do it by trying one medium. A magazine ad on its own is going to get you a very limited result, but if you pair that with several other tactics that will find your audience where they are today, then you have a much better shot at making the impact you want. Most people advertising to the consumers today really get what I am saying here, but for those of us in the B2B space, we sometimes forget that the rule applies to us as well. You may watch the series and not care much for the humor or the way we positioned the product, but I hope you will at least appreciate the effort these guys made. They had Second City Communications of Chicago write the scripts while our in-house agency shot, produced, directed and edited the episodes. So let us know what you think. Go ahead. We can take it. We are all humans after all and we like to be entertained. So when you can both entertain and educate your customer base at the same time, you have really accomplished something. Consider for a minute that over four billion hours of video are watched each month on YouTube alone, and you will understand why video makes perfect sense when promoting your products. Even if you don’t like the idea of using video to tell your story, PLEASE get creative and make it somewhat interesting to the audience. Nobody wants to be bored by yet another print ad that we have seen 100 times in every trade rag. If you are going to market your products, make sure you are hitting the audience from multiple directions. Be sure that your message changes with the medium, if that makes sense. Your digital approach is important because that is where everyone is today. Figure out where you can participate and get busy telling your story. Video is a great way to reach your target market and it is cheap to produce these days. Writing is the key, so make sure you have a solid partner. Be creative. If your message breaks through then you have accomplished a great deal. Take a look at the Cycle Man series and tell me what you think in the comments section below. Happy viewing! P.S. My hat is off to Pat Loch, Jenn Brisco, the Leggett & Platt Creative Services crew, and Media Cross our communications firm that ultimately produced this show. You guys did a great job, and I love seeing people do new things. Way to go!